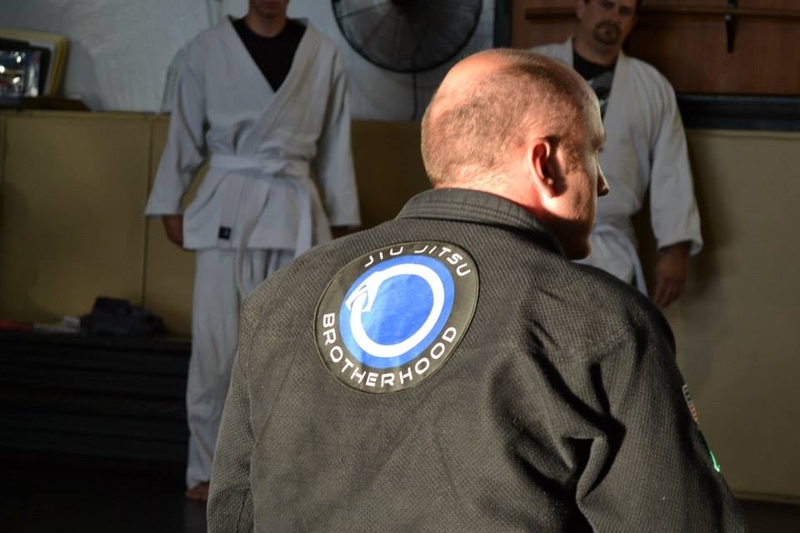 In any sport, including Brazilian jiu-jitsu, it is required that an individual has to put in a lot of practice to become better at what they do. In addition, supplemental training is critical to enhancing an athlete’s strength, agility, speed, and other physical attributes. While there are many options to athletes, one is Yoga. Yoga has been used over the years as a way to build core strength, flexibility, and concentration. A new form of yoga that is getting a lot of attention in the Hollywood and Burbank area is called Rebel Yoga which focuses on strengthening different areas in the body to increase an athlete’s overall performance. Rebel Yoga creator, Jason Eisner, has been doing Yoga for over a decade and with his new system has helped out some of the best grapplers and MMA fighters in the game. In addition, Jason has also been practicing Brazilian Jiu-Jitsu for over seven years and in the last year he has trained with some of the best in the world such as Leo Vieira, Ramon Lemos, Marcelo Garcia, and Andre Galvao. He also holds the rank of purple belt under Eddie Bravo and trains at 10th Planet Jiu-Jitsu. So in an exclusive interview I sit down with Jason to talk about this new form of yoga that has everyone talking. Monta: How did you discover rebel yoga and how did the program start? Jason: Rebel Yoga is a brand of yoga that my wife Heather and I created together. In 2001 I moved out to Los Angeles for work and around 2003 I started training Brazilian Jiu-Jitsu at Rickson Gracie’s academy. Shortly after, I remember watching Robert Raphael Goodman’s documentary Choke. There was a very memorable scene of Rickson practicing pranayama on the beach. I had been a yoga practitioner for years and loved the fact that someone like Rickson was a yogi too! Then, in 2007, I moved back out to Los Angeles from New York City to study Jiu-Jitsu with Eddie Bravo. In one of my first classes, Eddie implored students to take up classes and work on their flexibility. After ten years of practicing yoga myself, I felt it was time to get certified to teach and bring yoga to people within the BJJ and MMA communities. Heather and I got right to work developing it and in 2010 Rebel Yoga was officially born. At first there were like two, or three people in my classes. Then word started to get out and now sometimes it’s hard to even find a space on the mats! I feel really lucky and happy to share my practice with all these great people. Monta: Where did you come up with the name Rebel Yoga ? Jason: The definition of the word Rebel is ” a person who resists any authority, control, or tradition.” When I was younger I was really influenced by skateboarding and punk rock music. Everything I did was to fight against the main stream. I read books about Mahatma Gandhi, Martin Luther King Jr., Malcolm X, and Sitting Bull. I looked up to those guys, so I guess you can say that I have been embodying Rebel Yoga for a very long time. Then, last year my wife and I started teaching yoga for free to friends. In a city where people pay upwards of twenty dollars a class, people looked at us like we were crazy to just give yoga away. We told people that you didn’t need fancy clothes, expensive yoga mats, or even a studio to practice. All you really need is a qualified instructor and an open mind. The idea started to catch on and soon we had dozens of people showing up to practice. Then Vital Juice did a piece on us and called me “The Asana Outlaw.” That made me laugh. We keep true to the essence of yoga, but everything we do defies tradition, so it was a perfect fit. Monta: Can you briefly give readers a small description as to what Rebel Yoga is? Jason: The physical practice of Rebel Yoga basically has three components. Rebel Restorative, which is meant to help revitalize connective tissues and repair injury. Rebel Flow, which is focused on connecting breath to movement, building core strength and flexibility, and helping the practitioner achieve equanimity. And Pranayama. Pranayama is a Sanskrit word meaning “restraint of the breath” or more accurately, “control of force.” It is the study of different forms of breathing techniques to achieve a variety of outcomes. Monta: You mentioned the physical aspect of Rebel Yoga, is their any other components to the system ? Jason: Yes. Rebel Yoga is physical, but equanimity is the goal. When a person connects breath to movement, the movements become yoga. I call this “meditation in motion.” When a person learns how to manipulate their breath, they also learn how to manipulate their state of mental consciousness. They can create calm and likewise, they can choose to invigorate their physical instrument. Breath is a powerful force. Monta: How does it differ from other styles of yoga ? Jason: When we designed Rebel Yoga, we did it with athletes in mind. Also, Heather and I are artists, so making classes fun and interesting for people was key. Our soundtrack is just as important to us as breath and alignment. So when you come to one of our classes expect to hear the slickest beats this side of the Mississippi. We play everything from The Clash, to DJ Krush. Monta: What are some of the health benefits from taking Rebel Yoga ? Jason: Some of the health benefits are Stress relief, increased flexibility, increased lubrication of joints, ligaments and tendons, detoxification, the toning of muscles, and relaxation. Monta: Is this style of yoga suitable for one particular group or is it good for all ages? Jason: A huge part of our clientele are people from within this community. Anyone who has trained as a grappler or MMA fighter knows how fundamentally important breathing, core strength and flexibility are. And if I can nerd out on you for a second, the majority of postures in MMA and grappling pull the spine and shoulders forward which results in a misalignment of the entire body. Many fighters develop protracted shoulders, flat necks, and strained lower back muscles. Additionally, most of our day already consists of this forward posture: working on the computer, driving a car, and even just sitting on the couch. Fighters need something to balance their regular training, pull the shoulders up and back, strengthen the rhomboids, and lengthen the spine. I have well known MMA fighters in my classes all the time. Monta: Really !!! Who are some of the notable figures that take up rebel yoga and were they satisfied with their progression ? Jason: Scott “Einstein” Epstein, Conor “The Hurricane” Heun, and Tommy Gavin are regularly in my classes. These guys are super open minded and always training hard. True warriors of the sport and it’s an honor to have them sharing their practice with me. Monta: Finally do you have any future plans for Rebel Yoga ? Jason: Yes! We plan on making a Rebel Yoga DVD for Martial Artists, and a Lil’ Rebels DVD for kids. We currently teach Rebel Yoga at four locations: 10th Planet Burbank, The Yogi Tree(Toluca Lake), Easton Gym Hollywood, and Made in LA Fitness(Hollywood), but eventually we plan to open our very own Rebel Yoga studio right here in Los Angeles! Monta: Before we wrap up do you have any shout outs you want to give ? Jason: I would like to give a shout out to all of the Rebel Yogi’s world wide, my Sensei Eddie Bravo, Heather Rebel, my Caveman brothers Nathan and Edwin, all of the people who inspire me and to Monta for doing this interview. Monta: Well that raps things up. Thanks for taking your time out to do the interview Jason and best wishes for the future! Jason: Thanks again Monta! Don’t forget to check out www.rebelyoga.net for all of the latest Rebel Yoga news and Master Eddie Bravo’s new reality web series “Mastering The System” which can be found at www.10thplanetjj.com.